Lemonade ... anyone? Theme elements include lemon & lime fruit, cups, lemonade stand and set of small letters. 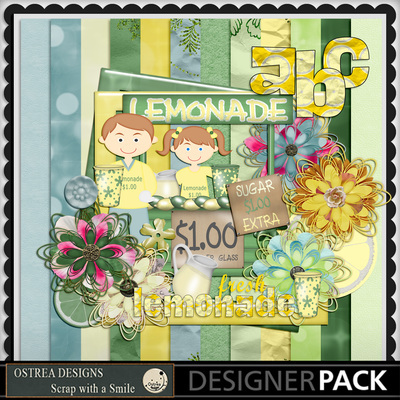 ** Scrap with a Smile with Ostrea Designs ** Personal Use only ** Thank you for support.